In September, Southern Illinois University Edwardsville’s School of Engineering signed a 2+2 Program agreement with Lewis and Clark Community College. The agreement allows a student to spend the first two academic years at Lewis and Clark followed by two years at SIUE to obtain a bachelor’s degree in civil, computer, electrical, industrial, manufacturing or mechanical engineering. The agreement also facilitates the exchange of student information between the two institutions to allow accurate and efficient advisement of students. “The cooperation between the two institutions for the success of the students is exemplary,” says Cem Karacal, associate dean of the SIUE School of Engineering. The objective of the program is to offer a highly structured curriculum at both institutions to better serve the needs of the student. One benefit of the dual admission is that students’ academic progress is monitored by both institutions, which will improve their success rates. “The curriculum is coordinated between the two institutions to make sure that students receive proper advisement in a timely manner from the beginning through graduation, said Hasan Sevim, dean of the School of Engineering. This is the third agreement SIUE has signed with area community colleges. The first two agreements were with Kaskaskia College in fall 2009 followed by St. Charles Community College in fall 2011. SIUE’s Dr. Ryan Fries and Dr. Sohyung Cho were among the invited speakers. Cho, an associate professor of industrial and manufacturing engineering (IME), spoke about lab simulation to teach supply-chain optimization. He was the SIUE School of Engineering’s IME Excellence Award winner in both 2009 and 2011. Fries, an assistant professor of civil engineering, spoke about innovative approaches to engage students in the classroom. He was the recipient of the American Society of Civil Engineers 2011 ExCEEd New Faculty Excellence in Teaching Award and the 2011 Chi-Epsilon James M. Robbins Excellence in Teaching Award. Karacal also presented within the section on “Pedagogical Approaches and Assessment in Engineering Education” regarding maximizing resources of both the University assessment office and the School of Engineering in program assessment for accreditation purposes. Within that same section, Dr. Chris Gordon, associate dean of the School of Engineering, also had a presentation regarding drawing assessments to measure student perceptions of diverse fields in an engineering school. Before traveling to Antalya, the SIUE contingent made a stop in Istanbul and participated in new student orientation for the Istanbul Technical University (ITU)-SIUE dual diploma program. Students enjoyed interacting with SIUE engineering faculty. The Southern Illinois University Edwardsville School of Engineering’s Civil Engineering Department, in collaboration with SIUE’s Environmental Resources Training Center (ERTC), hosted the 2012 Mid-American Environmental Engineering Conference in October. This annual event, rotated among partner universities and in its 18th year, attracted a record number of 70 participants to SIUE this year. Civil and Environmental Engineering graduate students from SIUE, Washington University in St. Louis, Missouri University of Science and Technology, University of Missouri Columbia and SIU Carbondale gathered to share their research findings and educational experiences. The program included 14 platform and 7 poster presentations, a display from the American Society of Civil Engineers St. Louis Section, a tour of ERTC’s water and wastewater pilot facilities, and networking opportunities among students, faculty, and professionals. The keynote presentation was given by Jeff Theerman, executive director of the Metropolitan St. Louis Sewer District (MSD). Theerman, a 1992 SIUE Civil Engineering graduate, spoke about “MSD Green Infrastructure Initiatives and Sewer Overflows Reduction Program,” describing MSD’s on-going effort of $4.7 billion program over the next 23 years to address the issue of overflows and other sewer system improvements. “This conference presented a great opportunity to bring people together for shared learning, information exchange, and exploring research collaboration”, said Jianpeng Zhou, Chair of the Civil Engineering Department and associate professor in Environmental Engineering. In October, representatives from the SIUE School of Engineering attended a Boy Scout Camporee at Scott Air Force Base. The Southern Illinois University Edwardsville School of Engineering’s Solar Car Team was invited by the Lewis & Clark Boy Scouts of American to participate in the annual Camporee at Scott Air Force Base in October. This year the event was focused on science, technology, engineering and mathematics, and activities included robotics, computers, engineering competitions and CO2-powered pinewood derby cars. The team put the solar car on display and discussed how the team works together in developing the car. They shared their race plan with 300 boy scouts and their parents. A table was set up next to the car so participants could see and touch some of the electrical and battery systems up close. The team also had mini solar cars on hand in order to demonstrate how a little shade can change the output of the solar cells and prevent the car from receiving a charge. Using a multimeter, the team showed the voltage drop of a solar cell in full sunlight versus shade. To complete the experience the scouts then were allowed to sit in the solar and pretend they were a solar car race driver. Jessica Thompson, a senior industrial engineering major from Troy, recently was named this year’s recipient of the Student Laureate Award for Southern Illinois University Edwardsville from the Lincoln Academy of Illinois. The Lincoln Academy began the Student Laureate Award Program in 1975 to honor students representing the values and virtues of America’s 16th president, Abraham Lincoln. Recipients are chosen based on overall excellence in curricular and extracurricular activities. Thompson will receive the Lincoln Medal, a Certificate of Merit and a monetary grant at a ceremony held in the Hall of Representatives in the Old State Capital hosted by the Governor of Illinois on Nov. 3. “I am most definitely very humbled by this incredible honor and am very thankful for the selection and the opportunity to represent SIUE,” Thompson said. In 2009 Thompson received a Meridian Scholarship, which is awarded to students with strong academic ability and a record of personal achievement, leadership, service and special talents. In 2011 she was named Outstanding Junior for the Industrial and Manufacturing Engineering program. Despite a demanding academic schedule, Thompson has continued to participate in extracurricular activities. She is a part of the start up of Alpha Pi Mu and Tau Beta Pi, two engineering honor societies. She was responsible for the computerization of the brake and acceleration components to the 2010-2011 SIUE solar car. She also has participated in internships at Scott Air Force Base and Monsanto. In addition Thompson looks for opportunities to give back. Last summer she joined a team of volunteers from Casas Por Cristo and went to Acuña, Mexico to build a house for a family in need. Thompson encourages her fellow students to never give up. The Lincoln Academy of Illinois is a non-profit, nonpartisan and self-perpetuating corporation established in 1964 to recognize the outstanding contributions made by living Illinois citizens. These individuals can be citizens by residence or birth. The contributions recognized are toward the social, cultural and technological progress of mankind, and to encourage greater dedication to such progress by all citizens of the state. A called meeting of the Regents and General Trustees, a group of no more than sixty distinguished Illinoisans appointed by the Governor to six-year terms, as well as Regents for Life and Rectors, vote from the nominees submitted to choose those identified as the most deserving to be honored as Laureates of the Academy, thereby conferring upon them the Order of Lincoln. Gaining a competitive edge in today’s difficult economic environment is a challenge. However, for more than 200 construction industry professionals, who have graduated from Southern Illinois University Edwardsville’s Construction Leadership Institute (CLI), a finely-tuned toolbox is helping them emerge as industry leaders. “Business success in the highly competitive construction industry requires exceptional leadership, management and people skills,” said Chris Gordon, co-director of the CLI and chair of the Department of Construction in SIUE’s School of Engineering. “In the CLI, we’ve packaged those skills into a convenient, accelerated, nine-week program using both faculty and industry professionals as instructors. “Professionals, who have participated in our program over the past nine years, now serve in leadership roles for St. Louis area building contractors, facility owners and professional services firms,” said Gordon. Graduates of the program include Jason Mantle, vice president of preconstruction for The Korte Company; Jon Danuser, general manager of Johnson Controls; Liz Lahm, director of enterprise risk and project management for Ameren Missouri; Brian Murphy, president of BAM Contracting; Adam Knoebel, vice president for McCarthy Building Companies; Marion Hayes, president at BRK Electrical Contractors; Paul Klaus, vice president of Lyons Sheet Metal Works; and Mike Christ, executive vice president at IMPACT Strategies. Celebrating its 10th year, CLI will convene the 2013 program on nine consecutive Fridays from 7:30 a.m. to 4 p.m. beginning Jan. 11 through March 8 on the SIUE campus. CLI is a joint program of the SIUE School of Business and the School of Engineering’s Department of Construction. Its curriculum is designed to develop and hone leadership as well as effective communication and professional skills. In addition, the program includes segments on business development, finance, construction contracts, insurance and bonding, conflict resolution and legislative issues impacting the industry. Attendees also will discover emerging methods of delivery such as lean construction and integrated project delivery, interactive exercises simulating a labor-management negotiation, selection of key personnel and an RFQ competition. The final session of the program features a panel of building industry leaders sharing their strategies for success. Organizations represented on the board include Alberici Constructors, Ameren Missouri, BJC Healthcare, Bond Wolfe Architects, BRK Electrical Contractors LLC, Guarantee Electrical Co., Holland Construction Services, IMPACT Strategies, Johnson Controls, McCarthy Building Companies, Korte & Luitjohan Contractors, Murphy Company, Nooter Construction Co., Regional Union Construction Center,, S.M. Wilson & Co. and The Korte Construction Co.
CLI benefits from continuing guidance from the Southern Illinois Builders Association and the AGC of St. Louis. Early registration is available through Nov. 16, at a cost of $2,950. After Nov. 16, registration is $3,150 per person. A $200 discount per person is given for multiple company registrations. To register, call Sandra Hindelang at 618-650-2668 or visit: http://www.siue.edu/cli/. Southern Illinois University Edwardsville’s School of Engineering has surpassed its undergraduate enrollment record for the fourth year in a row. Undergraduate enrollment for Fall 2012 has reached 1,088 which is a 28 percent increase from 2008. The Department of Mechanical Engineering with 260 students has become the fourth largest undergraduate program on the SIUE campus after nursing, English and biology. The Computer Science Department has also seen a significant increase as the Fall 2011 enrollment of 166 jumped to 208 this year. These historic numbers make the School of Engineering the third largest unit on the SIUE campus after the College of Arts and Sciences and School of Education. Dean Hasan Sevim attributes the high demand for the School’s programs to its world-class faculty and staff, who are dedicated to making a difference in the lives of their students, along with a well-structured recruitment plan. To support the School of Engineering’s continued growth, a 32,000 square foot addition is underway. The addition will facilitate the delivery of the state-of-the-art engineering education that attracts highly qualified students. Southern Illinois University Edwardsville School of Engineering faculty has twice been featured on Charter Communications “Conversation with Lee Presser” within the past few months. During the week of Aug. 27, Dennis Bouvier, PhD., who is an associate professor and acting chair of the Department of Computer Science, appeared with Presser and discussed Cyberwar. View the interview on YouTube. Andy Lozowski, PhD., associate professor of electrical and computer engineering discussed solar energy and battery technology with Presser in April. “Conversation with Lee Presser” is a half-hour television interview program that has been aired in St. Louis and southwestern Illinois for eleven years. Southern Illinois University Edwardsville’s Environmental Resources Training Center (ERTC) held ceremonies for its 30th graduating class from the Water Quality Control Operations Program on Thursday, July 26. Eighteen students from throughout Illinois attended the ceremony. The Water Quality Control Operations program provides college-level vocational training in drinking water, waste water and laboratory operations. Students must complete two semesters of intensive study at ERTC consisting of both classroom and hands-on training. In addition, two five-week summer internships, one at a municipal drinking water supply system and the second at a municipal waste water treatment plant, are required. By the time students are ready to graduate they will have taken their certification exams in drinking water and waste water operations in Illinois and Missouri. ERTC was designated by the Illinois Environmental Protection Agency as the state’s center for the continuing education of personnel involved in the operation, maintenance, and management of drinking water and waste water treatment systems. The instructors are professional operators with more than 20 years of experience in the drinking water and waste water industry and hold professional certifications, registration and licenses. The training center was designed to train operations personnel in the most current technology and procedures for treatment of drinking water and waste water. The facility includes fully equipped wet chemistry teaching labs, an instrumental analysis teaching lab, a library/computer center, a 30,000 gallon/day pilot scale water/waste water treatment plant and 30,000 gallon-per-day SIUE waste water treatment plant. In addition, an alternative energy system consisting of 144 solar panels and a 120 foot tall wind turbine are in operation to showcase the use of green energy in plant operation. Members of the ERTC graduating class and the ERTC faculty and staff pose for a photo at the recent graduation ceremony. The Illinois Center for Transportation (ICT) recently spotlighted Southern Illinois University Edwardsville’s Huaguo Zhou, Ph.D., an assistant professor of civil engineering in the SIUE School of Engineering in its August edition. Zhou and colleague Ryan Fries, Ph.D., also an assistant professor of civil engineering, are presently working on an Illinois Department of Transportation (IDOT) project. To read more, go to ict.illinois.edu. Eray Ozturk is one of the most outstanding graduates of the Southern Illinois University Edwardsville School of Engineering’s dual diploma program in industrial engineering. This collaboration started in 2007 between Istanbul Technical University (ITU) and SIUE. Each year, 35 Turkish students of the highest caliber are accepted into the program. Students study their freshman and junior years at ITU, and their sophomore and senior years at SIUE. Eray’s GPA was 4.0 at SIUE and 3.96 at ITU, which placed him first among the 3,000 ITU graduates. ITU asks its valedictorian to give the student address at its common commencement for all its graduates. Eray was decorated with an ITU high-honor medallion by Rector Muhammed Sahin and awarded several prizes from prominent engineering companies. Eray is planning to continue his graduate studies either at Stanford or the Massachusetts Institute of Technology (MIT). ITU commencement attendees last month included SIUE Provost Ann Boyle and School of Engineering Dean Hasan Sevim. Approximately 3,000 students and 6,000 parents, friends and loved ones were at the ceremony. “Eray’s speech was excellent and moved the audience when he mentioned his classmate, Orkan Sipahi, who passed away in his junior year after a long battle with leukemia” Sevim said. Founded in 1773, ITU is the oldest higher education institution in Turkey with more than 100,000 alumni. ITU holds the world record for most accredited engineering programs, with 23 ABET-accredited programs in 2011. Southern Illinois University Edwardsville graduate, Somnath Bhattacharyya was recognized recently by America’s Registry of Outstanding Professionals for his contributions and achievements in construction and highway design. Bhattacharyaa received his degree in civil engineering from SIUE in 1988. He currently is employed with the U.S. Army Corps of Engineers as a civil engineer in military construction. Bhattacharyya also has been honored by the St. Louis Section of the American Society of Civil Engineers Zone II Daniel W. Mead Award for Young Engineers. Please visit pr.com for more information on Bhattacharyaa and his accomplishments. A $59,876 urban waters grant to Southern Illinois University Edwardsville (SIUE) from the U.S. Environmental Protection Agency will allow the School of Engineering and partners to evaluate the efficiency and effectiveness of neighborhood green infrastructure in metropolitan St. Louis. SIUE and partners, including the Metropolitan St. Louis Sewer District, the City of St. Louis and Habitat for Humanity of St. Louis, will conduct a study in the JeffVanderLou neighborhood in North St. Louis. Previously installed rain gardens and planter boxes are examples of green infrastructure practices that will be evaluated for their impact on reducing storm water runoff to combined sewers. The grant also will be used for workshops for neighborhood residents on how to effectively maintain rain gardens and planter boxes, according to a release sent out by the EPA Region 7, which represents Iowa, Kansas, Missouri, Nebraska and nine Tribal Nations. Many urban waterways have been polluted for years by runoff from city streets and contamination from abandoned industrial facilities. Healthy and accessible urban waters can help grow local businesses and enhance educational, economic, recreational, employment and social opportunities in nearby communities. By promoting public access to urban waterways, EPA will help communities become active participants in restoring urban waters while improving and protecting their neighborhoods. EPA’s Urban Waters program supports the goals and principles of the Urban Waters Federal Partnership, a partnership of 12 federal agencies working to reconnect urban communities with their waterways by improving coordination among federal agencies and collaborating with community led revitalization efforts. Until last summer, Pimienta residents traveled without the convenience of the bridge. Thanks to the multidisciplinary efforts of the Southern Illinois University Edwardsville School of Engineering’s chapter of Engineers Without Borders (EWB-USA SIUE) and collaborating entities, the Puente La Nana Bridge Culvert Project was completed and recently was selected as the Outstanding Community Service Project of the Year for 2011-2012 at the recent SIUE Kimmel Leadership Awards Ceremony. The old cliché, “When it rains, it pours” can have unfavorable, unsightly and costly ramifications in communities with aging sewer systems. But a group of Southern Illinois University Edwardsville students designed an award-winning method to eliminate sanitary sewer overflow into natural water systems. “This is a problem in St. Louis because the sewer system is outdated,” said Jessica Eichhorst, who recently graduated from SIUE with a Bachelor of Science in civil engineering. Eichhorst, along with recent civil engineering graduates Allison Albrecht and Erica Coombs, worked for one semester on a class assignment that was part of a Metropolitan Sewer District (MSD) project. Their work “Eliminating Sanitary Sewer Overflows by Implementing Green Infrastructure” garnered third place at the national PB (Parsons Brinckerhoff ) Student Design Competition, held by the Environmental and Water Resources Institute (EWRI) of the American Society of Civil Engineers. The team also included the former students’ advisors, Dr. Ryan Fries, SIUE assistant professor of civil engineering and graduate program director; and Dr. Jianpeng Zhou, SIUE chair and associate professor, department of civil engineering. At Southern Illinois University Edwardsville School of Engineering’s summer camp, Montra Shaw was paired with other high school students who imagined they were all South Africans who spoke different languages. “I learned that in order to be a good engineer, you have to be willing to work together and get help when you need it,” said the 18-year-old, who is a senior at the SIUE East St. Louis Charter High School. Montra and Molly were two of 25 high school students who attended this week’s SIUE Engineering Summer Camp. Each year, the School of Engineering holds week-long summer camps. The two sessions, which are identical, consist of 25 high school students each. The camps are designed to introduce students to the various aspects and areas of engineering, computer science and construction, said Dr. Chris Gordon, assistant professor and chair of the Department of Construction in the School of Engineering. About 10-15 engineering faculty work with high school students in each session. The week’s schedule of events also included a talk by Dr. Tyria Riley, a 2002 SIUE graduate with a bachelor of science in electrical engineering. Riley also has a master of science in systems engineering and a doctorate of engineering management, both from the Missouri University of Science and Technology at Rolla. Riley works for The Boeing Co. and was hired as an electrical installer to do work on F-18 military aircraft being built for the U.S. Navy. Later, Boeing selected Riley as one of four people to participate in the company’s competitive two-year Engineering Skills Rotation Program. Last year Riley managed cost savings and lean projects that help save Boeing $4 million. This year, Riley is working as a resource estimator, developing labor estimates for engineering changes on the F-18 Superhornet. “Engineering is not for everyone,” said Riley, an East St. Louis native. “You have to love what you do, have a made up mind and accept the bumps and bruises along the way.” Brandon Rice, a senior at the SIUE East St. Louis Charter High School, said what drives him to do the best he can is the idea of failure. “I anticipate the road blocks, so I work harder to push past them,” he said. Southern Illinois University Edwardsville’s School of Engineering has organized two residential summer programs for students from Illinois and Missouri high schools. The two programs, one beginning June 3, 2012, and the other starting June 10, 2012, have approximately 25 campers registered in each of the one-week sessions. The program was designed to introduce high school freshmen, sophomores, and juniors interested in science and technology to various areas of engineering, computer science, and construction. Campers design and program a video game, build robots, bridges, miniature hovercrafts and fuel cell vehicles. They also get to see environmental science in action. Leading the novice engineers are faculty members from the School’s Civil Engineering, Computer Science, Construction, Electrical and Computer Engineering, and Mechanical and Industrial Engineering departments. Campers also experience a taste of college life by living with a roommate in the University residence halls, having meals at the Morris University Center, and building lasting friendships with campers from other schools. The high school students are given access to the University’s athletic facilities and Morris University Center in the evenings for activities including bowling, swimming, rock wall climbing, volleyball, basketball and arcade games. The Southern Illinois University Edwardsville chapter of The Honor Society of Phi Kappa Phi has awarded Jessica Eichhorst, undergraduate student in the SIUE School of Engineering’s Department of Civil Engineering, the 2012 Award for the Best Undergraduate Research and Creative Activities (URCA) Paper Presentation . Eichhorst’s paper, “Sustainable Bioretention Media Study,” was written as a requirement for her URCA position, which included developing a method for and conducting hydraulic conductivity tests on sustainable bioretention media. She will continue this research as an SIUE civil engineering graduate student. URCA is a program committed to giving undergraduate students the chance to engage in the types of work that professionals in their chosen fields do in the “real world.” It provides hands-on experience and fosters meaningful mentoring relationships with professors to give students not only excellent education, but also provide them with the tools they need to succeed as future graduate students, employees and citizens. Paul Shetley, director of the Southern Illinois University Edwardsville School of Engineering’s Environmental Resources Training Center (ERTC), recently was awarded the Clarence W. Klassen Outstanding Service award at the 2012 Illinois Association of Water Pollution Control Operators (IAWPCO) banquet in Springfield. ERTC was designated by the Illinois Environmental Protection Agency as the state’s center for the continuing education of personnel involved in the operation, maintenance, and management of drinking water and wastewater treatment systems. Southern Illinois University Edwardsville alum Vicki LaRose was recently named Small Business Person of the Year for the State of Missouri. LaRose graduated in 1990 and quickly started with Sverdrup Corp. which is now Jacobs Engineering, located in St. Louis. Soon after realizing the potential growth for entrepreneurship opportunities in St. Louis, LaRose and her husband began their own private engineering practice, Civil Design Inc. in 1996. LaRose has offices in St. Louis and Collinsville with over 20 employees. More information regarding LaRose can be found at bnd.com. Southern Illinois University Edwardsville alumnus Mike Scott, in conjunction with a fellow teacher, Pat Dugas, is heading a new special program at Carrollton Grade School to educate students on engineering, science and math. Scott graduated from SIUE with a degree in chemistry before beginning his career as a chemistry and physics teacher at Carrollton High School. The Robotics Club formed a BOTball team this past school year and will be offered to the students enrolled in engineering classes. Both Scott and Dugas will be teaching introductory engineering courses for student elective options. The Robotics Club competed in a competition this past year at SIUE. More information on the Carrollton Grade School engineering program can be found at myjournalcourier.com. Edwardsville High School won the sixth annual Greater St. Louis Botball Tournament held Saturday, April 21, at Southern Illinois University Edwardsville’s Meridian Ballroom in the Morris University Center. Triad High School was the runner-up with the Girl Scouts of Southern Illinois finishing third and Bond County Unit 2 Greenville High School placing fourth. Seventeen teams competed from Illinois, Indiana and Missouri middle and high schools. The autonomous (no remote control) robot competition focused on reef renewal this year. The robots scored points by building reef walls, placing coral polyps in reef starters, collecting kelp and building a fish farm. Gary Mayer, Ph.D., an assistant professor of computer science in the SIUE School of Engineering and one of the event organizers, enjoyed the spirit and positive attitudes of the competing teams. Botball scores are based on the double-elimination tournament, the seeding round scores and documentation scores. Edwardsville High School took first overall, although it did not win the double-elimination. EHS had a strong showing in the seeding rounds and documentation, and did well enough in double-elimination to take the top spot. Belleville East High School won the double elimination with the Girl Scouts of Southern Illinois finishing as runner-up. In this competition, robots from two different teams simultaneously compete on a game board not only in an effort to score as many points as possible, but also to keep their opponent from scoring. Double elimination placement makes up about one-third of the overall Botball score. Mayer had particularly high praise for the Girl Scouts’ team. “The Girl Scouts’ mentors and team members had little building and coding experience prior to our February workshop,” he said. “They also didn’t have much confidence in their skills and ability to meet the challenges of the tournament at that time. But what they managed to do was give a great presentation and build two robots that performed consistently. Mayer noted that the staff working the event enjoyed it immensely, because of how much the competition seemed to positively impact the students. “We are always amazed by what these students in sixth through 12th grade accomplish,” he said. “The way they communicate and delegate responsibility, their approach to problem-solving and what they actually implement is impressive. There were mechanisms to stack blocks, rotating sweepers to pick up items and scissor-devices to reach up for tall objects. Nearly 200 enthusiastic spectators filled the ballroom throughout the event. The East St. Louis Charter High School received a Judges’ Choice Certificate for Outstanding Programming. For more information, visit botball.org. In an article that appeared April 17 in the Belleville News-Democrat, it stated that manufacturing isn’t a dying industry and referenced that the Southern Illinois University Edwardsville School of Engineering’s Southwest Illinois Advanced Manufacturing (SIAM) Center is helping bring manufacturing back to the Metro-East through a “green” technology push. In the article titled, “’Manufacturing is back’: Metro-east businesses focus on ‘green’ technology, employee training,” it stated: “Contrary to popular belief, these experts say that although the manufacturing sector here and across the country has shed jobs, the industry is not dying. There are challenges, but embracing technology, especially the ‘green’ kind, has proven results in St. Clair and Madison counties.” The article further stated that SIUE’s SIAM Center has been credited with helping “instruct clients to tap into technology,” noting the center has assisted its clientele in gaining an average of $16 return for every dollar invested. The article provides details about some of the clients and projects assisted by the SIAM Center. A piece that appeared this week on the opinion pages of the New York Times referenced Southern Illinois University Edwardsville’s Senior Assignment program as an example of a value-added assessment—proof that an institution is educating and preparing its students for life in the real world. The item can be viewed online or in today’s print version of the New York Times, page A23. Southern Illinois University Edwardsville’s Morris University Center is the site for the 6th annual Greater St. Louis Botball Tournament on Saturday, April 21. Seventeen teams from Illinois, Indiana and Missouri middle and high schools are registered to compete. Doors at the Meridian Ballroom will open at 8 a.m. and admission is free. This is an autonomous (no remote control) robot competition. This year’s competition is focused on reef renewal. Robots score points by building reef walls, placing coral polyps in reef starters, collecting kelp and building a fish farm. Seeding rounds begin at 10 a.m. Double-elimination (i.e., robot-to-robot) rounds begin at roughly 1:30 p.m. The tournament is expected to conclude by 5 p.m.
Public parking is available in Lot B on the SIUE campus. For a campus map and directions, visit www.siue.edu. The Southern Illinois University Edwardsville student chapter of Chi Epsilon, a national honor society for civil engineers, recently received the Susan C. Brown Outstanding Chapter Performance Award at the Chi Epsilon National Conclave. The SIUE chapter received the award for the third consecutive conclave, the only chapter of 135 to achieve this distinction. “The fact that the SIUE Chi Epsilon chapter was the only chapter among the 135 chapters in the country to achieve such an honor for three consecutive conclaves, attests to the high caliber of our students,” said Nader Panahshahi, professor of civil engineering and faculty advisor for the SIUE Chi Epsilon chapter. Chi Epsilon meets every two years at a national conclave of chapter representatives to address business matters and acknowledge the recipients of award and scholarships. The Susan C. Brown award is given to recognize chapters that continue to initiate members and that are in good standing with the national office during the time between the biannual conclaves. The SIUE chapter of Chi Epsilon was inducted as the 121st chapter on April 26, 1997 and membership is by invitation. Members are selected based on scholarship, character, practicality and sociability. Keqin Gu, chairman and professor in the Department of Mechanical Engineering in Southern Illinois University Edwardsville School of Engineering, recently was named the 2012 recipient of the Distinguished Research Professor Award. The award is an academic rank rewarding faculty members who have demonstrated outstanding and sustained contributions to research and creative activities. Gu will be recognized with the rank of SIUE Distinguished Research Professor for the duration of his tenure at SIUE. “I find Keqin highly qualified and deserving of this award; not only for his excellence in scholarship, but also for his teaching, service, collegiality and overall intellectual capacity,” said School of Engineering Dean Hasan Sevim. Gu was promoted to professor in 2002 and has made consistent contributions to the engineering field of control systems, particularly as it applies to the topic of time delay systems. He has earned an international reputation as one of the top experts in the stability of time delay systems. Additionally, he has published one monograph, one edited volume, eight book chapters, four book reviews, 20 journal papers and 23 conference papers since 2002. Gu’s reputation has resulted in editorial positions in two prestigious control systems journals. He regularly serves as an invited keynote or plenary speaker, and has served on the program committee for several national and international conferences. Gu developed a method to discretize Lyapunov-Krasovskii functionals, which are used for the stability analysis of time-delay systems. The system is known worldwide as Gu’s discretization. Andy Lozowski, associate professor of electrical and computer engineering (ECE) in the Southern Illinois University Edwardsville School of Engineering, recently discussed solar energy and battery technology on local cable Conversation with Lee Presser. During the half-hour segment, Lozowski discussed the development of alternative energy systems, the equipment needed for a home to utilize solar power, and how neighborhoods can share captured energy thus becoming less dependent on the utility’s power grid. Conversation with Lee Presser is a half-hour television interview program that has been aired in St. Louis and southwestern Illinois for eleven years. Lozowski’s interview aired April 9 at 7 p.m. on Charter channel 18. The episode with Lozowski is available for viewing through YouTube. The Southern Illinois University Edwardsville Office of the Provost today announced that Nicole Klein, Ph.D., is the recipient of the annual Teaching Excellence Award for tenure-track faculty. Klein is an assistant professor of kinesiology and health education in the School of Education. It is the most prestigious teaching award that a faculty member can receive at SIUE. Klein received a $2,000 prize as part of the award. She will be recognized during SIUE’s May commencement ceremony and will speak at the December commencement exercise. She will be nominated for the Advancement and Support of Education for the National Professor of the Year Award. Chair of the Teaching Excellence Awards committee Denise DeGarmo, Ph.D., an associate professor of political science, cited Klein’s ability to help students to become critical thinkers, to be able to reflect upon their own performances and to develop their understanding of important course concepts. The committee also noted Klein’s deep respect for her students and ability to provide constructive feedback that guided students to continuous improvement. The committee complimented Klein’s curriculum development, classroom instruction and scholarly publications on effective pedagogy. Klein earned both her bachelor’s and master’s of science in health education from SIU Carbondale in 1989 and 1991, respectively. She achieved a Ph.D. in health education from the University of Texas at Austin in 1995. She was both a teaching assistant and graduate assistant at UT before arriving on the SIUE campus in August 1995. Recipients of Teaching Distinction Awards for tenure-track faculty included Serdar Celik, assistant professor of mechanical engineering and industrial engineering in the School of Engineering; Jennifer Miller, assistant professor of history in the College of Arts and Sciences; and Jessica DeSpain, assistant professor of English language and literature in the College of Arts and Sciences. All received $500 prizes. School of Nursing lecturer Virginia Eason received a Teaching Distinction Award for non-tenure track faculty that also carried a $500 prize. The committee acknowledged Celik’s ability to break down complex concepts into clear, simple explanations by using real world examples to illustrate course content. Students highlighted his clear, enthusiastic communication skills along with an approachable nature. Celik also was highlighted for his variety of assessment tools to elicit feedback and then acting upon those comments to improve course presentation. Celik earned a bachelor’s of science in mechanical engineering in 2001 from Yıldız Technical University in Turkey. He achieved a master’s of science in mechanical engineering in 2003 from Istanbul Technical University in Turkey. He earned a Ph.D. in mechanical engineering from SIU Carbondale in 2007. He joined SIUE as an assistant professor in the Department of Mechanical Engineering in August 2007. The committee pointed to Miller’s passion and enthusiasm as her greatest strengths. Her students are actively engaged in the materials and activities which she presents utilizing a wide variety of multi-media tools. Her teaching philosophy is clearly articulated through her course design and student interactions. Her colleagues highlighted her integrity, work ethic and genuine interest in her students. Miller earned a bachelor’s of science in German with a minor in gender studies in 1998 from Davidson College in North Carolina. She achieved her master’s of science in women’s and gender studies in 2002 from Rutgers, the State University of New Jersey, where she also earned a Ph.D. in history in 2008. She joined the College of Arts and Sciences faculty in August 2008. DeSpain’s articulate, creative, enthusiastic and engaging classroom approach impressed the committee, which also noted her tremendous energy and commitment to student learning. Students actively participate in her rigorous classes that incorporate various disciplinary approaches. Her students are on an educational journey through DeSpain’s clear, thoughtful classroom examples. DeSpain earned a bachelor’s of arts in liberal arts with a concentration in language arts in 2001 from Mount St. Clare College in Clinton, Iowa. She achieved a Ph.D. in English from the University of Iowa in Iowa City in 2008. She also joined the College of Arts and Sciences faculty in August 2008. The committee spotlighted Eason for being a knowledgeable educator who encourages students to view the world through the multiple lenses of nursing and patient care. Her ability to engage students both inside and outside the classroom is particularly effective in her clinical work with students. She has earned high praise for providing an engaging learning environment, while serving as an outstanding mentor and role model to nursing students. Eason earned a bachelor’s of science in nursing in 1982 from Southeast Missouri State University in Cape Girardeau. She achieved a master’s of science in the nursing care of children in 1987 from Saint Louis University. She has always taught part-time and currently teaches the clinical portion of the course nursing care of children and adolescents at SIUE where she joined the faculty in January 2003. She also has worked as a registered nurse for SSM Cardinal Glennon Children’s Medical Center since 1982. Recently the American Society for Engineering Education (ASEE) released data highlighting the past year and named Southern Illinois University Edwardsville’s School of Engineering 17th of 258 public and private institutions for students graduated per faculty member. The data indicated that for every tenured/tenure-track faculty member, 4.93 bachelor’s degrees were awarded. Through the development of policies and programs, the ASEE works in collaboration with national and international organizations in pursuit of academic excellence, the site stated. Through hands-on training and instruction from highly qualified faculty, SIUE’s School of Engineering prepares students for careers in the growing fields of engineering, computer science and construction. The School supports the technical growth and economic development of the region, placing nearly 100 percent of its graduates in engineering careers. Damien Di Vittorio, undergraduate student in the Southern Illinois University School of Engineering’s Department of Civil Engineering, has been awarded the Illinois Water Environment Association (IWEA) Clean Water Scholarship for 2012. The $1,000 scholarship was designed to aid students preparing for careers working with the water environment. Di Vittorio serves as the SIUE chapter president of Engineers Without Borders and took part in a 2-week engineering mission in Pimienta, Honduras in 2010. That trip inspired him to focus on environmental engineering and water, waste water and storm water management. The award comes as no surprise to Chris Gordon, chairman of the Department of Construction Management and faculty advisor for the SIUE Chapter of Engineers Without Borders. An Illinois Center for Transportation (ICT) research project completed by Huaguo Zhou and Ryan Fries, assistant professors of civil engineering in the Southern Illinois University Edwardsville School of Engineering, has been selected as the first recipient of the ICT High Impact Project Award. Collaborating with Brent Vaughn, civil engineering laboratory specialist and lecturer at SIUE, and a team of student researchers, Zhou and Fries developed a Highway Incident Management Operational and Training Guide for incident responders in Illinois. The team was selected for the award based on its commitment, teamwork and technical expertise, and was formally presented with the award in February at the 98th Annual Transportation and Highway Engineering Annual Conference. Recently the American Society for Engineering Education (ASEE) released data highlights from the past year and named Southern Illinois University Edwardsville’s School of Engineering 17th of 258 public and private institutions in terms of students graduated per faculty member. The data indicated that for every tenured/tenure-track faculty member, 4.93 bachelor’s degrees were awarded. Southern Illinois University Edwardsville School of Engineering’s Sohyung Cho, associate professor in the Department of Industrial and Manufacturing Engineering, and his supply test bed simulation system is being featured in the March 2012 issue of Industrial Engineer Magazine. A supply chain consists of all entities involved in the process of getting a product or service from the manufacturer to the customer and can often be complex and difficult to regulate. A successful manufacturing company must effectively manage its supply chain, but typically cannot afford to physically test the supply chains for all possible scenarios. The Southern Illinois University Edwardsville School of Engineering, in conjunction with the Edwardsville High School Computer Team, will conduct a Robotics Mini-Camp from 9 a.m.-noon, Saturday, March 24. The robotics workshop, for students from grades 3-5, will be held in the SIUE Engineering Building, room 2029. The focus of the camp is to introduce students to robotics. Students will have a hands-on experience in designing and constructing robots to save ducks from an oil spill. The cost of the camp is $35, which includes a camp T-shirt. Proceeds will go to the EHS Computer Team. For more information and a registration form, please contact Scott Hagin at ash56@sbcglobal.net or (618) 656-7100, ext. 20886. A registration form also is available online at www.ecusd7.org/ehs/ehsstaff/shagin. The camp is limited to the first 24 students who return a completed application. Southern Illinois University Edwardsville Alumnus Brad Harriman is running for a seat in the U.S. House of Representatives, hoping to replace Rep. Jerry Costello. Harriman, 58, from O’Fallon, is running as a Democrat in the 12th Congressional District. The former professional athlete and educator is standing on a platform that includes good jobs, good schools and safe communities. The emphasis of Harriman’s life’s work, the candidate said, is to teach, coach and motivate at-risk youth in the Belleville area. Harriman graduated from SIUE with a master’s in K-12 General Administration in 2000 and with a bachelor’s in Secondary Physical Education in 1978. The information recently appeared in an article titled, “Brad Harriman: Democratic Party Candidate for the 12th Congressional District” on the Channel 5 NBC Chicago website. 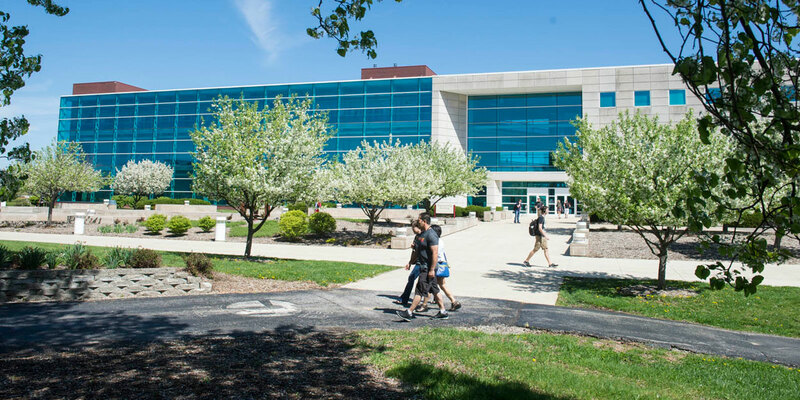 The Southern Illinois University Edwardsville School of Engineering will host its annual Open House from 8 a.m.-2 p.m. Saturday, March 24 at the Edwardsville campus. The Open House is for prospective students, their families and the general public. Check-in will take place in the Morris University Center (MUC). There will be a general presentation from 9-9:45 a.m. in the MUC Conference Center. All other activities will take place in the Engineering Building starting at 10 a.m. Lunch will be provided to all prospective students. Guests will have the opportunity to attend informational sessions in our various departments, including: Civil Engineering, Computer Science, Construction Management, Electrical and Computer Engineering, Industrial and Manufacturing Engineering, and Mechanical Engineering. Faculty, staff and industrial professionals will be available to answer questions. Current engineering students will be in attendance to share their experiences. Student projects such as the Formula Race Car, Solar Car and Mini Baja will be displayed, and team members will be on hand to answer questions. Guests will have the opportunity to tour the Engineering Building throughout the day. Laboratory and classroom facilities will be open with interactive laboratory demonstrations and exhibits. Guests also can sign up for an SIUE Campus tour. For more information about the School of Engineering, please visit siue.edu/engineering or call (618) 650-2541. Southern Illinois University Edwardsville’s School of Engineering recently hosted its 6th Annual Awards Banquet on Tuesday. More than 250 alumni, students, faculty, staff and industry friends assembled for the event that recognized outstanding students, alumni, teachers, researchers and retiring employees. Tyria Riley, who graduated in 2002 from SIUE with a bachelor’s in electrical and computer engineering and is a rising star at The Boeing Company, gave a passionate talk about her shift from engineering student to life as a professional engineer. Teaching Award – Dr. Chiang Lin, professor of Civil Engineering. Teaching Award – Dr. Jie Gong. Teaching Award – Dr. Xudong Yu, associate professor of Computer Science. Teaching Award – Dr. Brad Noble, associate professor of Electrical and Computer Engineering. Teaching Award – Dr. Sohyung Cho, associate professor of Industrial and Manufacturing Engineering. Outstanding Long Term Research Achievement Award – Dr. Albert Luo, professor of Mechanical and Industrial Engineering. Awards also were given to Kim Bateman from the Environmental Resources Training Center for Outstanding Service, and retiring faculty and staff, including Dr. Chiang Lin, professor of Civil Engineering; Rex Pierce, instructor in Civil Engineering; Dr. Byron Ehlmann, professor of Computer Science and Cindy Korte, office support specialist in the Department of Industrial and Mechanical Engineering. George Engel, professor of electrical and computer engineering (ECE) in Southern Illinois University Edwardsville’s School of Engineering, recently was named the recipient of the SIUE Paul Simon Outstanding Teacher-Scholar Award for 2012. “I believe the award is recognition of not only my efforts, but also of the outstanding job that all of us here in the School of Engineering and the Department of Electrical and Computer Engineering do to bring our research into our undergraduate and graduate classrooms,” Engel said. The Simon Award is presented annually to an SIUE faculty member who shows a significant contribution in the area of research and demonstrates the ability to incorporate that research activity into the classroom. Since joining the faculty in 1993, Engel has developed an outstanding research program in the area of integrated circuit design. Together with his students he has designed several integrated circuits that have been successfully fabricated. In addition he has supervised 19 master’s theses, is widely published and holds nine U.S. patents. Engel will be presented the award April 9 at the Annual Paul Simon Luncheon. Jie Gong, assistant professor in the construction management department at Southern Illinois University Edwardsville, has devoted his research to measuring construction processes to identify productivity improvement opportunities. In January, Gong’s dedication was rewarded when he received an announcement that his paper, “A Computer Vision Based Video Interpretation Model for Automated Productivity Analysis of Construction Operations,” was awarded the 2010 Best Paper Award from the American Society of Civil Engineering (ASCE) Journal of Computing in Civil Engineering. According to a report from the ASCE, one of the greatest challenges facing the construction industry is productivity improvement. Videotaping is an effective and inexpensive technique that is used by the industry to analyze productivity; however, its benefit is limited by the amount of time needed to manually review each recording. Gong’s research seeks to streamline the process by developing an automated video interpretation procedure to expedite data collection. Gong will accept the honor during the 2012 Computing in Civil Engineering Conference to be held in Clearwater Beach, Fla., June 17-20. Jing Huang, a graduate student in the Civil Engineering program, has been named the recipient of the 2011 Illinois Section of the Institute of Transportation Engineers (ILITE) Student Paper Competition Award. Huang’s work was selected by the ILITE based on originality, significance, validity and applicability of the research paper among students from all Illinois universities that have graduate level transportation programs. Civil Engineering doctorate student Michael Williamson has been selected by the Illinois section of the Institute of Transportation Engineers (ILITE) for their annual graduate scholarship. Each year the ILITE selects one student for the award from universities across the state. Candidates for this scholarship are selected based on their educational background, transportation course work, employment history, campus activities, community activities, leadership and professional references. The District 8 Branch of the American Public Works Association (APWA) recently announced that $3,500 would be awarded to five Southern Illinois University Edwardsville civil engineering students. Designed to encourage students interested in the field of public works, scholarships were awarded to the following civil engineering students: Jacob Allen, Kendra Deerhake, Tyler Hazelwonder, Brittnee Radcliffe and Evan Wilson. History was made at December’s commencement ceremony when Jiguang Zhao, Ph.D. was hooded by his faculty advisor, Southern Illinois University Edwardsville Civil Engineering Assistant Professor Huaguo Zhou, and School of Engineering Dean Hasan Sevim. Zhao is the first student to earn the Ph.D. in Engineering Science through a cooperative program between SIUE’s School of Engineering and the SIU Carbondale College of Engineerin. With his research focused on traffic operation and safety, Zhao became involved in several external research projects funded by the Illinois Center of Transportation. He has published several journal papers and numerous conference papers based on this research. In June 2009 he received first place in the Missouri Valley Section of the Institute of Transportation Engineers student paper competition. “Jiguang is a great student and researcher,” said Zhou. “His dissertation received excellent ratings from all six committee members; three from SIUE and three from SIUC. Zhao joined the Chicago office of CH2M Hill Inc., a consulting company on transportation engineering headquartered in Englewood, Colo. His career goal is to make our roadways safer by becoming an expert on traffic operation and safety. Southern Illinois University Edwardsville’s School of Engineering Associate Dean Cem Karacal and the Student Services staff plan to visit St. Charles Community College early this spring semester to raise awareness of the newly signed 2+2 agreement between the School of Engineering and St. Charles Community College. The 2+2 engineering program allows students to obtain bachelor’s degrees in Civil Engineering, Computer Engineering, Electrical Engineering, Industrial Engineering, Manufacturing Engineering or Mechanical Engineering by attending St. Charles Community College for the first two years and SIUE for the remaining two years. The purpose of the program is to offer a well structured curriculum at both institutions for timely graduation. The School has had a similar program with Kaskaskia Community College since fall 2009 and is in the final stages of development for an agreement with Lewis and Clark Community College.